Canada is about 7,000 miles away from the Philippines and building a team in the Philippines while you are in the Great White North can be a daunting challenge. 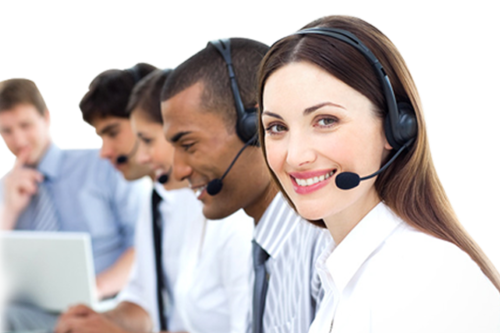 It is a necessity, as the Philippines is the pinnacle of the outsourcing business globally. Therefore, Canada SMEs, or small and medium businesses, have so much to gain if they will set up their outsourced team in the country. But it has been done before. And here, we will discuss a few tips on how you can do the same. The first thing to do is to look for renowned BPO companies in the Philippines. Investigate what services are offered, and trim down your list to five companies. In your search, you must include parameters that fit your business requirements. Do you need managed operations to have multiple locations? Do you prefer that it has the capacity to operate in various channels like chat, social media, and phone? Once you have selected these companies, send a letter for a quotation. The second step once you have received the quotations, and once you have identified the companies whose price matrix is aggregable with your budget, is that you need to schedule a visit to the companies of your choice. You need to see the agents in action, the location, the infrastructure, and the licenses. It is during this visit that you will meet the corporate heads of the BPO company, and they will present to you what they have to offer. You will receive a tour, and you will be shown the different aspects of shared services in the Philippines such as the technology, the facilities, and the various specializations of various departments. You will go through ocular visits and will see different leaders from different departments showcase what they can do such as the training, quality, and HR departments. Once you have selected the company you will do business with, you can create the contract and have both parties sign an agreement. This document will stipulate the rates, the services, the business metrics and goals, and all other pertinent and critical business expectations. The Philippine company can now send some agents to your Canada BPO to receive training, or you can send your trainers to the country. The launch date, support, and trial runs will also take place. You can set up a daily call while all of these are taking place, and you can reduce this to a weekly call as the project progresses and nears the completion of the launch phase. So, should Canada outsource to the Philippines? It is a definite yes. Apart from the large pool of talents, Filipinos are known to contend with onshore BPO companies. Filipino providers can match the skills of many specialists from around the globe, and this is why the country has built an entire industry around shared services. If you think in terms of Shared services vs BPO Canada Call Center, you should not be surprised if Philippine BPO companies can match or surpass the performance of local Canadian centers.